She stated marijuana smokers are far less a problem than drinkers of alcohol. No one who smokes marijuana is going to attack or kill an officer, she said. “They just want to get a bag of chips and relax,” she said. She later clarified that she doesn’t believe consumption of marijuana is healthy, but added she is not policing the city as a mother and 7 out of 10 voters supported legalization in the city. In terms of public safety, it’s a relatively benign drug with widespread acceptance, which means arrests tend to harm the community more than help it. This is noteworthy coming from an agency that for years had the highest marijuana arrest rate in the country. A report prepared last year by the American Civil Liberties Union revealed the D.C. arrest rate for marijuana possession was 846 per 100,000 between 2001 and 2010. That was more than three times higher than the national average of 256 per 100,000. What’s worse, the number of minorities suffered a vastly disproportionate impact. Black people, for example, accounted for 91 percent of those arrested for marijuana possession, and they were eight times more likely to be arrested for this offense than their white counterparts. 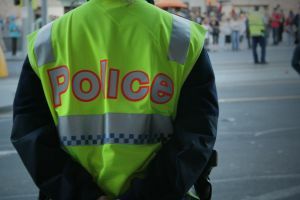 The research further revealed it wasn’t that they were more likely to be committing possession-related offenses; they were simply more likely to be arrested for it. Not only are these laws irrational, they are also highly unfair. Lanier’s comments came in defiance of Congressional efforts to halt the sale of marijuana sales for recreational purposes in the nation’s capitol. Those remarks were made a press conference, whereby she stood next to the D.C. mayor and other officials who were holding firm in their belief that the will of the people should be respected. Prior to the recreational legalization measure, D.C. had already decriminalized marijuana possession, so long as it was an ounce or less. That happened last summer. Now, violators incur a civil fine of $25. Littering, meanwhile, will result in a $75 fine. While some observed her enthusiasm for the measure seemed “forced,” she indicated she wasn’t necessarily advocating for the use of marijuana, just noting that enforcement of arcane laws makes little sense from a public safety standpoint.